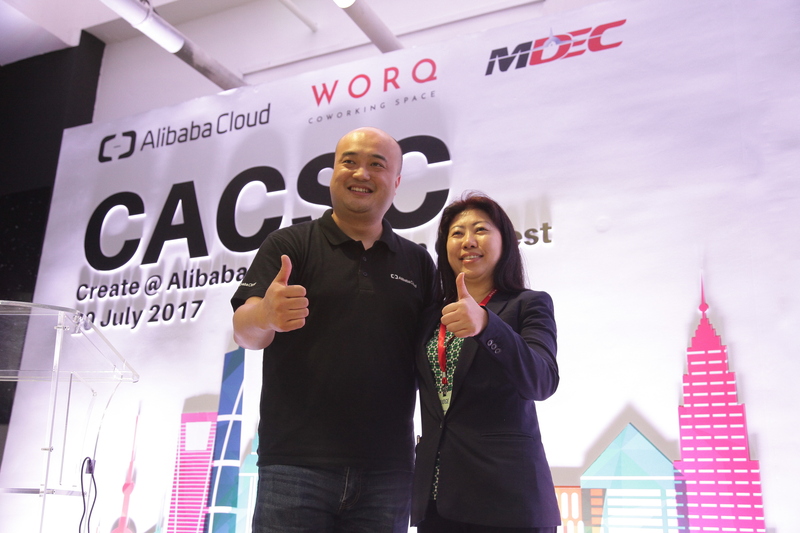 Alibaba Cloud and MDEC launched a new digital hub in Malaysia. From left to right: Raymond Ma, Head of ASEAN & ANZ, Alibaba Cloud, and Dato’ Wan Peng, COO of MDEC. Kuala Lumpur, July 20, 2017 - Alibaba Cloud, the cloud computing arm of Alibaba Group, announced today the establishment of a new digital hub in Malaysia together with the Malaysia Digital Economy Corporation (MDEC). This is the first digital hub under the Electronic World Trade Platform (eWTP) initiative, and marks an advance in the realization of the eWTP vision of empowering small and medium enterprises around the world and providing them with fair access to global markets. The new digital hub will play a key role in incubating start-ups of Malaysia as well as across ASEAN countries, and accelerating the digital transformation of the region. As technology partner for the hub, Alibaba Cloud will roll out a series of programs and services including the Alibaba Cloud Certified Professional (“ACP”) certification program, one-on-one “go-to-cloud” consulting services and customized technology solutions designed by Alibaba Cloud architects. These will allow small businesses to achieve scale rapidly and smoothly using Alibaba Cloud’s powerful, scalable and cost-effective cloud capabilities. Beyond these initiatives, Alibaba Cloud has also brought the ASEAN Division of its Create@Alibaba Cloud start-up program to Malaysia. Fifteen start-ups from across the ASEAN region competed in the final in the new digital hub this morning. Following an intensive pitch process, CXS Analytics from Malaysia and Oceo Water from Singapore were announced regional winners and awarded the equivalent of US$50,000 and US$10,000 separately, as well as earning two places to compete with champions from other 12 markets and regions in the global final to be held in Shanghai in October. “Alibaba Cloud and MDEC’s partnership was established on one common ground and that is, our commitment towards developing the tech entrepreneur ecosystem. This synergy has connected the Malaysian tech entrepreneurs to bigger opportunities and the Create@Alibaba Cloud Start-up Contest ASEAN Division is a perfect example of that. Through this contest, Malaysian entrepreneurs had the chance to present their ideas to industry experts and gain the experience” said Dato’ Wan Peng, COO of MDEC. This is the latest in a series of collaborative initiatives between Alibaba Cloud and MDEC which support the eWTP’s vision and are setting new examples of what is possible within it. In May, Alibaba Cloud announced that it would establish a data center in Malaysia within this year that is set to become the first global public cloud platform available in the country. Through this, Alibaba Cloud will empower local entrepreneurs from different industries and of all sizes to migrate their IT infrastructure onto a powerful, reliable and secure platform.